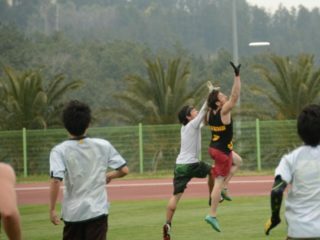 There’s a new set of USAU Rankings out, and with it, we have another post from our boy Franklin D. Bluth (check out his first one here). 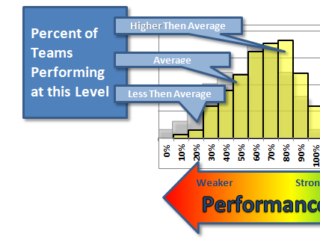 Remember, in order to rank teams, USAU uses an algorithm that factors in strength of schedule and margin of victory that you can see here. In the last weekend of the regular season, just 4 of the top 20 teams in the rankings are in action. All four teams, Wisconsin, Harvard, Virginia, and Minnesota, are comfortably ahead of the teams that are fighting for the last team strength bids. Minnesota, the lowest rated of the 4, has a rating 130 points higher than California, the highest rated team not to earn a team strength bid. Basically, as long as these teams don’t completely flop this weekend, they will stay in the top 19. As you can see in the chart above, all the bids are projected to go to teams in the top 19, except the automatic bid for the Metro East. The highest ranked team is Cornell, and they are 44th. Right now, Michigan State, Iowa, Washington, and Whitman are holding onto the last 4 team strength bids. Since none of these teams are playing this weekend, they can do nothing but cross their fingers and hope that this weekends results are in their favor. A lot of teams on the bubble will be playing, including Tufts, Wisconsin-Whitewater, Illinois, Virginia Tech, Texas A&M, and Ball State. 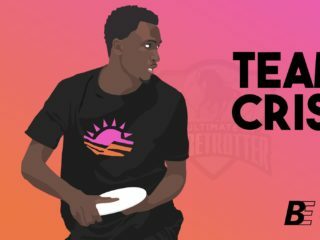 It should be an exciting weekend of ultimate as the last few bids to nationals are decided. Below, I use the Winners/Losers format to give a rough idea of who gained/lost in these rankings. North Central – With Wisconsin’s strong performace at Easterns they are back to having the four bids they have become accustomed to the past couple years. Iowa is barely holding on to a fourth bid, while Wisconsin-Whitewater has a chance to get an unprecedented 5th bid by doing well at Huck Finn this weekend. South Central – By winning every game at Centex, Colorado College (not to be confused with the University of Colorado) has moved into a position to give the region a third bid. 3 bids seems fitting for this region with 3 teams who have established themselves as contenders followed by a bunch of clearly second tier teams. Northwest – Washington and Whitman have both moved up to take 2 team strength bids, giving the region 4 bids total. Since the Northwest has the last 2 team strength bids, this weekend’s results could possibly result in both bids being gone by next week’s final standings. Ohio Valley – Went from 4 bids to 1. Penn State continues to beat chumps and thankfully, they are not being rewarded for it. Ohio showed themselves to be a true top 20 team by placing 11th at Easterns, but not the top 10 team that the computers had touted them to be. 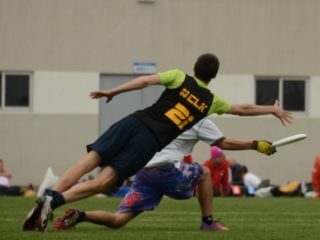 Both Ohio and Ohio State lost to Georgia teams at Terminus this weekend, and now the region is down to a single bid. Their last chance for a second bid will be this weekend with Ohio State playing at Huck Finn. Southwest – The Southwest region is back to just 2 bids. California is sitting one position outside the all-important top 19, and will have to hope for some luck this weekend to move back up. With 8, count that, 8 teams in the top 40 (and 7 in the top 30) and only 2 bids to share, this region is shaping up to have the most exciting regionals tournament. Atlantic Coast and Southeast – Though both regions have a strong team at the top, no one else has stepped up in either region. Georgia from the SE went winless at Easterns, and UNC-W moved out of the top 40. Virginia Tech has an outside chance to move up by playing well this weekend at the Wahoo Challenge. Metro East – Cornell showed at Easterns that they still have a long way to go. Does this region deserve a bid to Nationals? New England – Harvard is definitely a top team. Tufts went 2-5 at Stanford and beat a bunch of teams at Southerns that probably won’t be making an impact on Sunday of regionals. Based on last year, Tufts and Middlebury have potential, but they haven’t shown it yet. Both teams and Dartmouth have a chance to earn a second bid this weekend as all 3 teams are playing in One Nightstand. Great Lakes – Went from a comfortable 3 bids to 2. Michigan showed themselves to be a contender with a 4th place finish at Easterns. Michigan State and Illinois, however, have yet to live up the preseason hype. 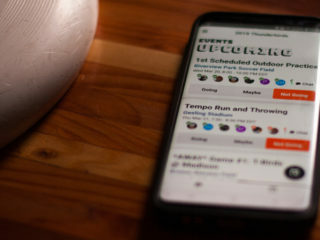 Last weekend, Illinois lost to Georgia at Terminus, while Michigan State dominated lesser competition at the Chicago Invite, giving Ball State their only loss so far this year. This weekend, Illinois and Ball State will get one last chance to earn a team strength bid as they compete at Huck Finn.